Composite doors direct is part of the successful conservatory base company. We have a number of websites including www.diyconservatoryquote.co.uk and www.conservatorybasecompany.co.uk. We have used our 20yrs + industry experience to ensure that not only do you get a quality composite door but also our Industry knowledge to make sure that you get the best internet composite door at a competitive price. We use quality slabs from a supplier that only deals direct with the trade. We only use quality multipoint locks and our era lock comes with a £500 refund and new door if it is broken into. 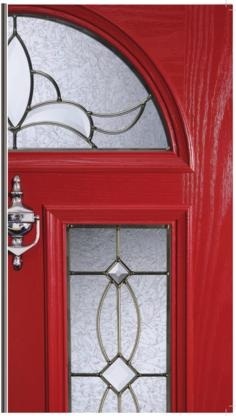 If you look at the styles we offer you can see that we have different styles of composite doors and glass types and we delivery nationwide at no extra cost. We make your door to order and take pride in doing so. Its not rushed out to you and is delivered on our own transport. Everyone of our doors are extra warm and even though we let you design your own door we will still send you an energy rating certificate for your exact door. With 10 colour choices and thousands of glass combinations we hope you like the site and feel confident enough to get a quotation after that one of our helpful sales people will get back to you to assist you with your order and any queries you may have.